Prudence "Roo" Jones never thought he'd have a family to look after—until suddenly he found himself taking care of his orphaned teenage nephew. Roo, a former Caribbean Intelligence operative, spends his downtime on his catamaran dodging the punishing hurricanes that are the new norm in the Caribbean. Roo enjoys the simple calm of his new life—until an unexpected package from a murdered fellow spy shows up. Suddenly Roo is thrown into the center of the biggest storm of all. Using his wits—and some of the more violent tricks of his former trade—Roo begins to unravel the mystery that got his friend killed. When a polished and cunning woman claiming to be murdered spy's sister appears, the two find themselves caught up in a global conspiracy with a weapon that could change the face of the world forever. 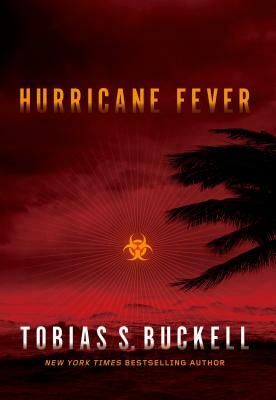 Tobias S. Buckell is the author of several novels including Halo: The Cole Protocol, Arctic Rising, Sly Mongoose, Ragamuffin, and Crystal Rain. His books have been finalists for the Nebula Award, the Prometheus Award, and the Romantic Times Award for Best Science Fiction Novel. He hails from the Caribbean, where as a child he lived on boats in Grenada and the British and U.S. Virgin Islands. When he was a teenager, his family moved to Ohio after a series of hurricanes destroyed the boat they were living on, and he attended Bluffton University in Bluffton, Ohio, where he still lives today. Buckell fell in love with science fiction at a young age, reading Arthur C. Clarke and Isaac Asimov novels when he was seven years old. He is now a full-time author and freelancer.